PORTAGE, WI – General Engineering Company is proud to introduce our two newest staff engineers, Lukasz Lyzwa and Jim Nellessen, as well as our new front desk receptionist, Allissa McMahon. Mr. Lyzwa has known since he was young that engineering was in his future. He dabbled in other professions, but always came back to engineering. A project in high school on individual wastewater treatment made him realize that civil/environmental engineering was where he wanted to focus his energies. Lukasz is now achieving this dream by joining GEC as a Staff Engineer. Lukasz grew up in a small town in Poland and lived very close to his extended family. He attended Kielce University of Technology in Poland and received his Bachelor Degree in Environmental Engineering. He has already proved to be an invaluable asset working on stormwater management and wastewater projects. Lukasz lives in Portage with his wife, Lucy and their newly adopted puppy, Poppy. Together they enjoy exploring the outdoors and spending as much time with Poppy as possible. 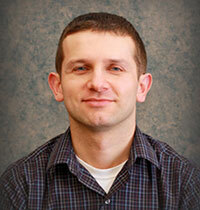 General Engineering Company is excited to welcome Jim Nellessen back to our Portage office. Mr. Nellessen previously interned at GEC over the summer of 2014 in our Structural Engineering department. Jim recently graduated from UW-Platteville, earning a BS in Civil Engineering with an emphasis in Structural, Geotechnical and Environmental Engineering. Jim has always had an interest in the construction field; an interest he attributes to his father and being able to closely watch his career as a carpenter. As he got older, Jim developed an interest in bring the various components of construction together, which drew him to engineering. Jim looks forward to expanding his engineering experience, earning his Professional Engineer license and perhaps his Structural Engineer license as well. Jim hails from St. Germain, WI where he grew up in a large family; he has six sisters. 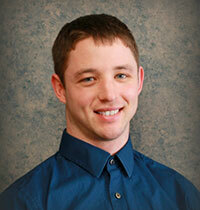 He now resides in Portage, WI where he enjoys hiking, fishing, hunting, video games, reading and bike riding. Allissa McMahon joined General Engineering Company in September as the front desk receptionist. 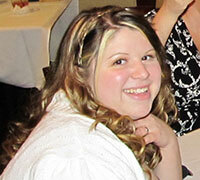 She is a 2010 graduate of Portage High School and has attended Madison College. While attending Madison College, Ms. McMahon was on the Dean’s List academically, but found she wanted to pursue full-time employment. Allissa’s task-driven and detail-oriented work ethic makes her a great asset to GEC. Allissa has many hobbies that fill her time when she is not welcoming people to GEC. Much to the pleasure of her fellow co-workers, Allissa is an accomplished baker and cook. She also enjoys working with animals, hiking, camping and watching movies. Allissa currently resides in Portage with her family.